This project explores the visual, material and textual sources regarding incense burners, and examines their creation, transmission and appropriation. Moreover, it examines how knowledge and ideas related to incense burners are formed through material practices and Bildwanderung, the “migration of images”. It understands incense burners not as objects in a conventional sense, but as things, and as “forms of intentional human action”, contextualized in regard to spatial, olfactory and tactile aspects, as well as to the interactions between ritual, art and human beings. This project’s time period ranges from the beginning of the Han dynasty (approximately 200 BCE) to the end of Qing dynasty, specifically in early 20th-century. The geographical focus is China, however other regions such as Japan, Korea, Istanbul and Meissen etc. are of relevance too. 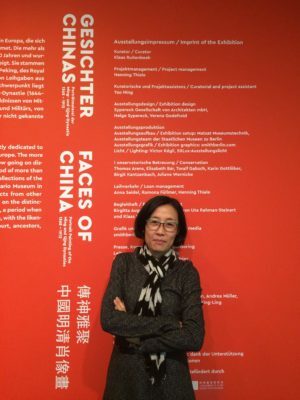 Ning Yao holds a doctorate in East Asian Art History from Heidelberg University (2013) and is currently Wissenschaftliche Mitarbeiterin in the department of Prof. Dr. Gerhard Wolf at the Kunsthistorisches Institut in Florenz, Max-Planck-Institut. Her research focuses on the creation, transmission and appropriation of East Asian incense burners (Bilderfahrzeuge. Aby Warburg’s Legacy and the Future of Iconology). 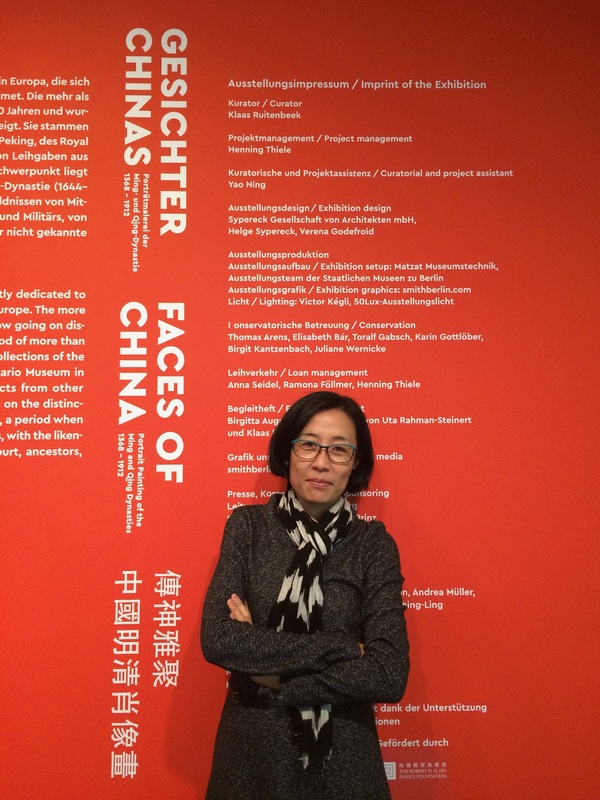 From 2016 to 2018 she was a CAHIM (Connecting Art Histories in the Museum) postdoctoral fellow, with a research project focused on Chinese portraiture. During this time, she was also the curatorial and project assistant of the exhibition “Faces of China: Portrait Painting of the Ming and Qing Dynasties (1368-1912)” in Berlin (Oct.2017-Jan.2018). Prior to joining the CAHIM fellowship program, she was an associate lecturer for Chinese art history at Goethe University in Frankfurt am Main. From 2013 to 2014 she was a postdoc research fellow at the Internationales Kolleg für Geisteswissenschaftliche Forschung (IKGF) “Fate, Freedom and Prognostication. Strategies for Coping with the Future in East Asia and Europe” at Erlangen-Nürnberg University conducting the project “Changing Fate: Visual Culture in the Ming and Early-Qing China”, where she also taught Chinese art history. Prior to starting her PhD studies in 2008, Ning Yao was a lecturer for Chinese language and culture at the Beijing Foreign Studies University, the Charles University in Prague, Tübingen University, and Goethe University in Frankfurt am Main for over ten years. She obtained her first BA in German Studies from Xi’an Foreign Languages University, a second BA in Teaching Chinese as a Foreign Language from Beijing Language and Culture University, and a Magister in Sinology and Art History from Tübingen University. Ning Yao has been awarded the 2018 Museum Network Fellowship from the National Museum of Korea, the 2012 Graduate Student Best Paper prize from the Association for Asian Studies (AAS) for a paper entitled “Representing Absence and Death: Wu Li’s (1632-1718) Handscroll Remembering the Past at the Xingfu Chapel (1672)”, the Heinz-Götze scholarship for Chinese Art History for research conducted at the Beijing Palace Museum, Shanghai Museum and Nanjing Museum in 2011, and the translation grant from the European Research Council in 1999 (together with Gabriel García-Noblejas). “Art and Rulership: The Plum Screen Version of Emperor Qianlong’s (r. 1736–1795) Portrait One or Two”, In: Head and Body: Evidence of Power in the Ruler Portrait Between the 14th and 18th Centuries. Conference publication. Zentralinstitut für Kunstgeschichte, München (forthcoming). “Reshaping Portraiture: The Emergence of Chinese Literati Portraiture”. In: Faces of China. Portrait Painting of the Ming and Qing Dynasties (1368-1912). Klaas Ruitenbeek (ed.). Berlin: Michael Imhof Verlag, 2017, pp. 35-46.
Review to the International Workshop “The Jesuit Legacies”. In: International Sinology (國際漢學), 2017/03. pp. 172-174. “The Fact of Matter: William Forsythe”. In: The Art World (藝術世界), 2015/12, pp. 110-111. “On the Road: Doug Aitken”. In: The Art World (藝術世界), 2015/09, pp. 130-131. “Truth and Image: The Art of the German Director and Photographer Wim Wenders”. In: The Art World (藝術世界), 2015/08, pp. 135-144. “Art Cologne, 2015: The Oldest but not the Old-fashioned”. In: The Art World (藝術世界), 2015/06, pp. 48-50. “Meanings and Functions of the Painting Fungus Growing at the Cenwei Residence: Wu Li (1632-1718) and His Intellectual World”. In: Shifting Paradigms in East Asian Visual Culture: A Festschrift in Honour of Lothar Ledderose. Burglind Jungmann, Adele Schlombs and Melanie Trede (eds.). Berlin: Dietrich Reimer Verlag, 2012, pp. 271-297. “The Painting A Tranquil Autumn Morning by Wu Li and the Controversy of Western Influence on his Painting”. In: Art Research 美術研究, 2007/01, pp. 62-68. “The Other ‘Landscape’”.In: 21st-Century, 2004/08, pp. 122-130. “Present Situation and Brief History of Sinology in the Czech Republic”. In: International Sinology (國際漢學), 2000/06, pp. 435-448. Chinese Proverb Dictionary (通用諺語詞典), Shi Baoyi (ed.). Co-writer, Wuhan: Hubei renmin chubanshe, 2000.